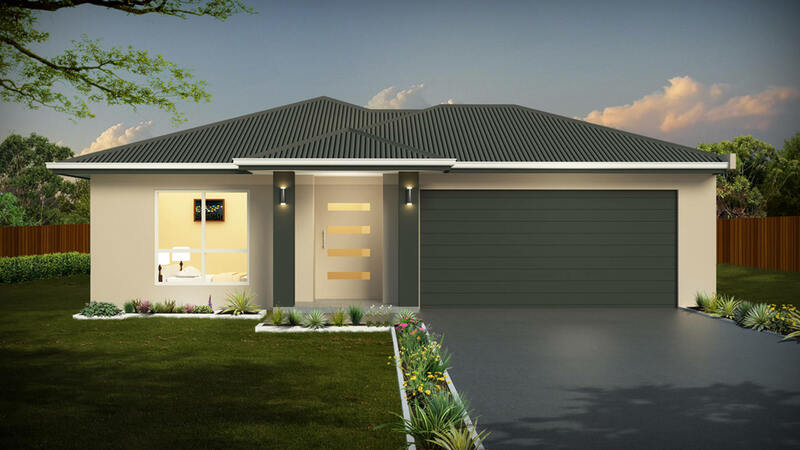 Simple yet stylish, the Dinmore is a three bedroom, two bathroom single storey home. The Master bedroom boasts a walk-in robe and ensuite, with bedrooms 2 and 3 located next to it for you to keep a close eye on the kids. 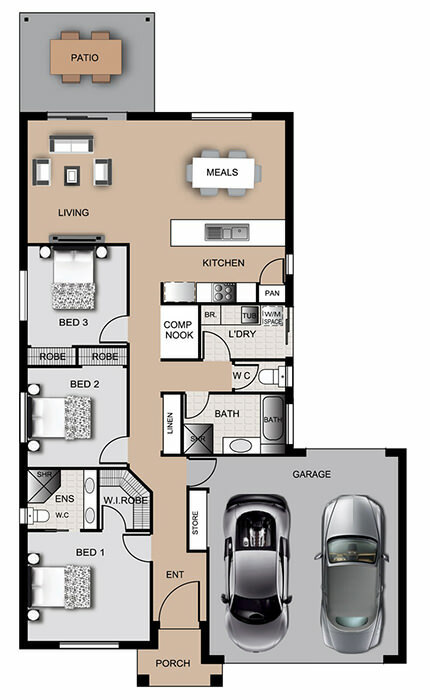 With a study nook designed for work or play and an open plan kitchen, dining and living space, the Dinmore offers everything a small family needs without compromising on functionality and design.